This election poster published in support of Civic Forum expresses the political will to discard the country's communist history and establish a new national identity allied with Europe. 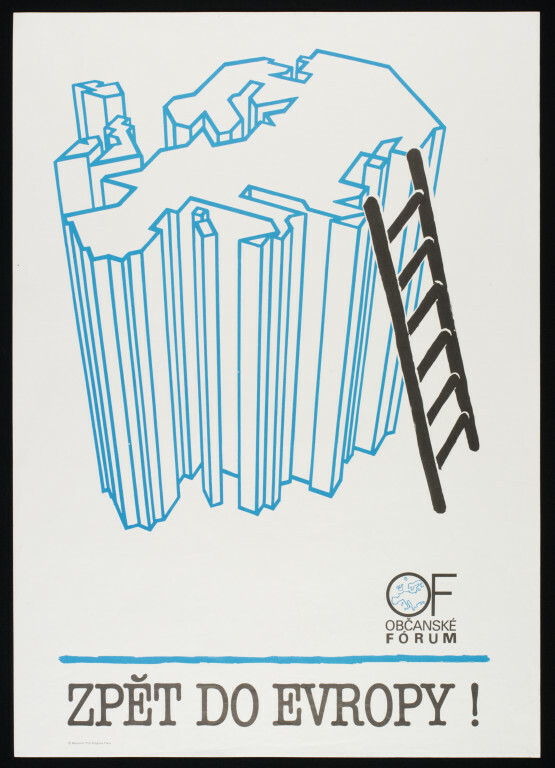 This poster, with image and text printed in blue and black on white paper, shows a ladder reaching up to a block shaped map of Europe. 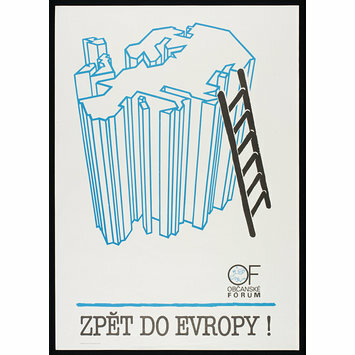 Anonymous election poster supporting Civic Forum, designed, printed and published in former Czechoslovakia, 1990.